British Cycling?s road team manager, Max Sciandri, is currently undecided about whether he will join the all-new British professional team in 2010. Asked about his plans, he told Cycling Weekly, ?personally, I don?t really know. I?ll be discussing the outline of the pro team with [performance director Dave] Brailsford before the World Championships. ?Personally I still want to be involved with the U23 programme because I?ve been in the pro world for so long and they?re so willing to learn and they?re so alive. I really want to want the U23 programme to continue for a few more years,? Sciandri said, expressing his hope that the programme will not be brought to an end when the new pro team comes into place in 2010. Bradley Wiggins and Geraint Thomas, who are both currently riding the Tour of Britain, will team up on the track for the Dortmund and Munich Six-Days. The Dortmund Six runs from October 30 to November 4, and the Munich Six runs from November 6 to 11. 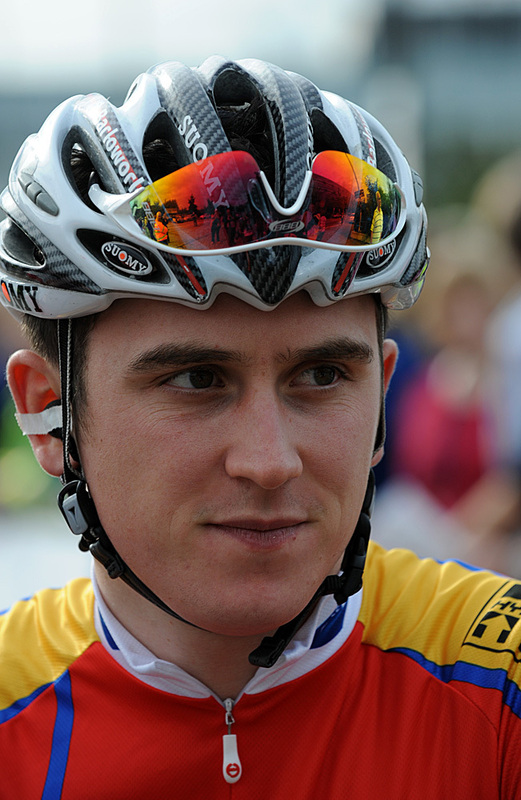 Wiggins had the choice of pairing German veteran Erik Zabel or Thomas and opted for his British team pursuit partner. This year?s World Championships will be shown on the BBC, for those without access to Eurosport. BBC will be showing live coverage and highlights of every event, with commentary by Hugh Porter and Chris Boardman. The Worlds begin in Varese in Italy on Wednesday September 24 with the women?s time trial, and conclude on Sunday September 28 with the men?s road race. Train operator, Eurostar, has announced a 300% rise in the number of passengers travelling with bikes, following the introduction of a new bicycle reservation system in April 2008. The new system, brought in after discussions with the CTC, allows cyclists to reserve a place for their bike on the same train upon which they are travelling, albeit for a £20 surcharge for each single journey. Those with folding bikes can opt to have their bike counted within their luggage allowance, thus avoiding the surcharge. To register a bike on a Eurostar journey, please call 08705850850 for more details. The Rapha Condor Recycling team have confirmed that their erstwhile holder of the King of the Mountains jersey, Kristian House, will relinquish the jersey and focus on the general classification, where he is currently 12th, 1-44 behind race-leader, Geoffroy Lequatre. Young rider Rhys Lloyd has pulled out of the race. Replacing the injured Ben Greenwood at the last minute, team manager withdrew him from the race after stage four, not wanting to wear him out. Britain?s Jeremy Hunt is having a rather tough time of it at the moment, at this year?s Vuelta a España. Hunt lost a further 5-15 in the rain yesterday and currently trails race-leader Egoi Martinez, by 1-21-29. The Vuelta is likely to be one of the last races, if not the last, that the Englishman will ride in Crédit Agricole colours, after news that the team will fold at the end of the season.